I consider that the unspoken lens through which Christmas in Britain is viewed today is that of the importance of children, a sentimental nostalgia for idealised family life and a concern for those less fortunate. These values have been mediated to us by means of the writings of Charles Dickens and others in the 19th century who effectively re-imagined Christmas for an urban age. During that era aspects of the old pagan traditions (e.g. decking with evergreens, gift giving, feasting) were re-appropriated to give focus for a family festival which met the social needs of the emerging urban middle classes of the Victorian age (Golby & Purdue, 2000, p. 45). It is these customs and attitudes continuing today which inform the ideas of what makes up a traditional English Christmas. I wrote along similar lines this time last year, though in a less ‘academic’ style. Our allotments association is having a ‘winter solstice bonfire’ tomorrow afternoon and we’re invited to bring mulled wine and snacks to share. A number of our vegetable growing neighbours are avowedly not Christian, so the use of the solstice term is deliberate. Yes, our midwinter festival does indeed have pagan roots and we Christians needn’t be ashamed or worried about it. Those who first brought the gospel to these islands were able to use our ancestors’ customs as a conceptual bridge to a new and better story about Jesus – the Light of the World shining into darkness. It’s a good missionary strategy. What might be a good way of building bridges to our contemporaries that could point to the better story of ‘God with us’? A talented friend from our church used his skills to aim for just that. You can see his animation here. I was in conversation last week with a Japanese student who was newly arrived in our city. ‘What things have you noticed that are different?’ I asked. She quickly responded, ‘the bathrooms!’ – and her friend vigorously nodded in agreement. They found it strange that the toilet should be in the same room as the shower, with only a curtain between them. The second point of difference that struck them was alcohol. All the British students consume a lot of it and make a lot of noise late at night around the student village. What first impressions have you gained from visiting other places? We have stories to tell of charming carpet sellers and suicidal taxi drivers in Turkey, of the cleanliness and punctuality of Swiss trains, of trying to cross the road in UAE and the contrast between scenic beauty and evident poverty on the journey from Cape Town airport. After the initial strangeness of a new physical environment we start to take it for granted. We learn to look for power sockets or light switches in the right places, to navigate the supermarket and public transport and cope with different plumbing arrangements, even if they are mystifying. Setting aside for the moment the hurdle of communicating in another language and dealing with the weather, often the bigger challenge is adjusting to different attitudes and social expectations. This process can take a long time. If someone invites me out, what time should I arrive? Why did they find that funny? Why is everyone so rude about the Americans in general but really friendly with individuals? Who should I talk to if I’m sick and can’t make my assignment deadline? Why does no one talk to me on the bus? Why was my course mate happy to chat to that member of the group but ignore my question? Why do British people say ‘sorry’ when I bump into them? Why are they always in a hurry? Why do they say bad things about their country, aren’t they proud of it? I wish I were home; they do things much better there! For an international student, it makes a huge difference to have a local friend who can listen to questions like these without judging or becoming defensive, recognising that the questions and frustrations are a normal part of the process of transition into another culture. We’re trying to be that kind of friend in our corner of Oxford – what about you? About two and a half centuries ago a wealthy banker created one of the most famous landscape gardens in Britain – Stourhead. His father had bought the estate and built a new beautiful mansion but unfortunately died the year it was completed. The son turned his attention to the grounds. He created a lake, built some exotic temples and grottoes and planted many trees. But as we wandered around these very same gardens a week or so back I found myself thinking – but he never saw it as it is now. Today the trees are splendid in their full maturity, more than two hundred years since they were planted. What drove Henry Hoare II to create such a garden, when he would never see the full effect of all the trees he planted? I guess the simple answer is he took the long view. It was beautiful enough to be impressive in his own lifetime, but ultimately he must have been thinking of the generations to come who would benefit from his foresight – as thousands of visitors to Stourhead today can attest. Following our brief holiday in Somerset we asked ourselves “Are we also taking the long view over the things we invest in?” International student ministry is certainly like that. There are no quick fixes, just lots of digging and breaking up soil and planting seeds without seeing any fruit in the short term. It’s not just planting gospel seeds in the lives of individual international students, it’s also planting seeds of a vision amongst churches who’ve never thought about the international students on their doorstep. After four years of travelling to other countries to encourage international student ministry we find that fruit is slow in coming, but we also remember that the work in its early stages in Britain was slow. So we keep on keeping on at what we do, knowing that the God we serve takes a longer view than any of us. What are you investing in? The other day Christoph told me he thought Richard and I were the most British people he knew. I think he meant this as a compliment, but I must have looked a little concerned because he quickly added ‘with an international outlook’. He then further conceded that he didn’t actually know many British people very well – the University bubble he lives in most of the time is overwhelmingly international. What had he seen in us that prompted this observation? He’s been to our home on many occasions. Could it have been the minor outbreak of Murray fever he had earlier witnessed at a recent church meeting, which happened to coincide with a nail biting quarterfinal tennis match? Might my joking with him after church on Sunday have influenced him? When he looked a little vague after the mention of tennis, I urged him “Come on, Christoph, it’s the Wimbledon men’s singles final with Andy Murray poised to take the crown for Britain after a wait of 77 years!” I was, of course, anxious to introduce him to an aspect of British culture that may as yet have escaped him after only 4 years in our country. I’ve never been to the All England Club in Wimbledon, London SW19, to see the tennis live, but every year that I can remember the Lawn Tennis Championships – brought to my TV screen by the reliable and familiar BBC – have been the marker post for my summer as sure as putting up the Christmas tree signals the start of the winter holidays. It may be one of the world’s top international sporting events, but Wimbledon is also a very British phenomenon – the green lawns, the dress code, the strawberries and cream, the politeness, the Royal Box and millions of Britons who don’t follow tennis at any other time of year willing on the latest British hopeful to make it past the first round. So Christoph had put his finger on how much our formative years affect our interests and passions and mark out adult responses for the rest of our lives. 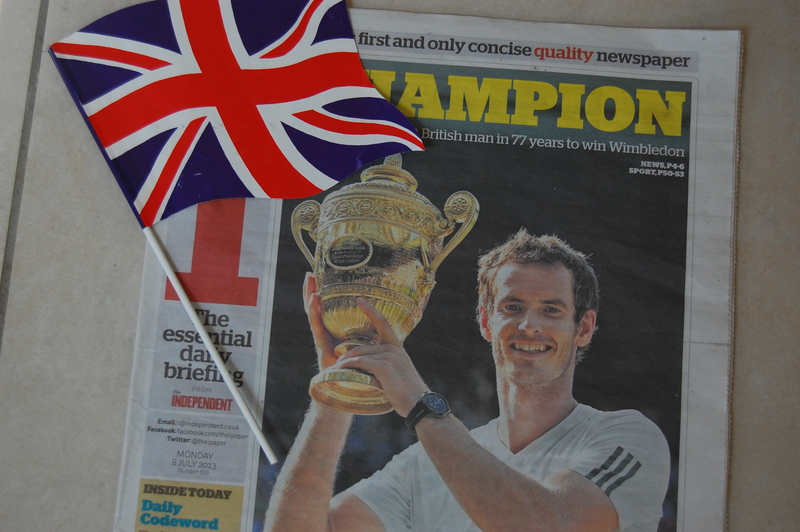 No matter how many nationalities I welcome into my home, no matter how many countries I visit, no matter how much I have learned and adapted to fit and flex and accept and embrace what is different, I will always be British during Wimbledon fortnight. PS congratulations to Andy Murray; you’ve made the country proud. As you’ve not heard from me in a while, here are several stories to think about. What do you think they tell us about the human condition? On the day after a famous Paralympian gave his testimony to a South African magistrates court, a man with a gun walked into our bedroom. We were staying temporarily in a friend’s holiday home on the sunshine coast of Eastern Cape, unpacking after our long flight from London. The man with a gun was a helpful security guard who turned up within two minutes of our having set off the alarm by accident for the second time in a row. He spent a few minutes resetting the control panel and then explained how the security system worked. When I told this story later to South African friends they agreed how reassuring it was for the security guard to arrive so promptly. That hadn’t actually been the thought uppermost in my mind. I am not used to having men with guns in my bedroom. Yesterday I visited a fruit farm with a friend to pick strawberries. It was a perfect, sunny June day; the strawberries were fat, ripe and delicious. I picked two full punnets and we returned to the farm shop to pay. There were other goodies on sale so we placed our trays of produce down on the counter and said to the girl behind the checkout that we’d be back after picking up a few other things in the shop. A few asparagus spears later we returned to have our strawberries weighed and paid for. It was only after I returned to the car that I realised something was wrong. One of my punnets contained strawberries that were cold – as if they’d just come from the chiller cabinet. I returned to the shop and the young woman agreed that it was a ready picked punnet from the shop. She’d noticed the strawberries were in a marginally different design of plastic punnet and charged me more accordingly. While my back was turned (and her attention was elsewhere too) someone had removed my freshly picked strawberries, substituted a punnet from the shop and got mine for the cheaper ‘self picked’ rate. 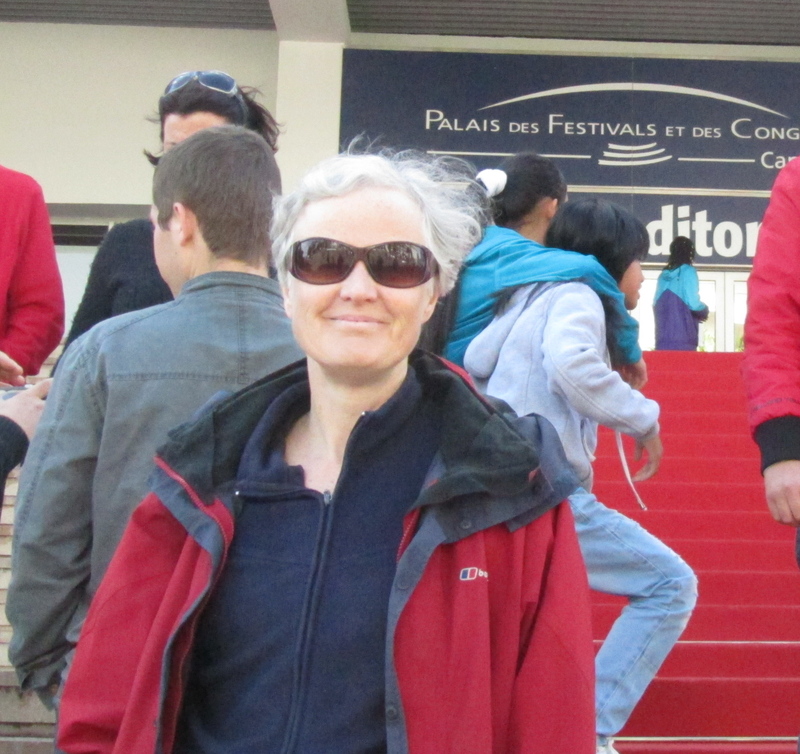 A few weeks ago we were strolling along the seafront at Cannes. We were not there for the film festival – that was a few weeks away – but rather visiting a former student friend who had got a job in nearby Antibes. All the world and his wife were out walking their dogs, roller skating along the promenade or just enjoying the spring sunshine, the blue sea and perhaps, like us, the frisson of being in a place where very rich and famous people come to stay. 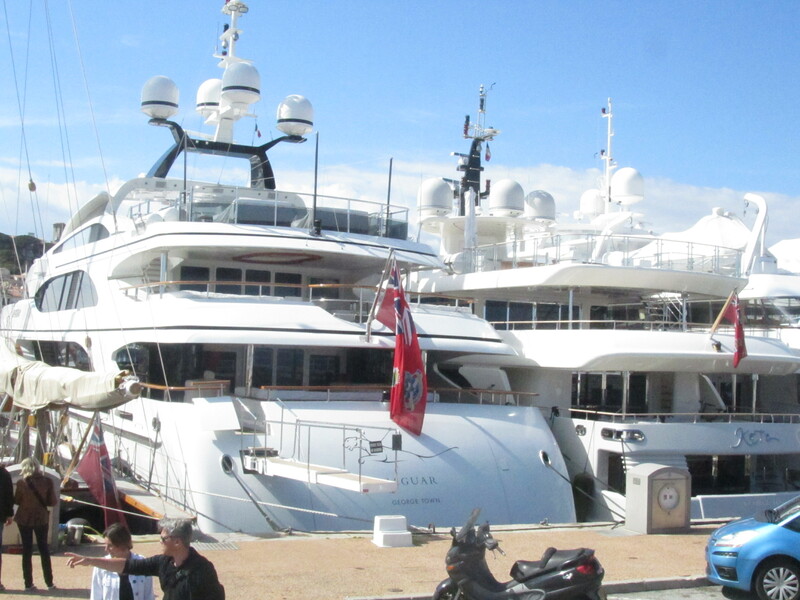 We explored the marina with its super yachts and reflected on the millions of Euros needed to add a custom-made helipad, if you should happen to want one. As we surveyed these floating pleasure palaces it struck me how gleaming and unsullied they looked. Did anyone actually take them out to sea? Or were they simply used as the ‘must have’ location for exclusive parties? Part of me hoped to see a villainous henchman emerge and tip James Bond into the water, but the crew members we saw were only polishing the already sparkling paintwork. We human beings love to show off, whether it’s the billionaire playboys with their flashy boats or me having my photo taken on the red carpet at Cannes. On a Monday night a few days before Valentine’s Day the English club met as usual. I sat at a table with several students from East Asia trying to make sense of the Valentine’s quiz. Can you match these well known couples? Posh & Becks were reasonably easy, as were Beyoncé & JayZ but Tim Burton & Helena Bonham Carter proved to be less well known. When I explained that Helena BC played Bellatrix in the Harry Potter movies the Japanese girl’s eyes lit in recognition. Then there was a fill in the blanks exercise: All you need is [______] (Beatles) or My love is like a red, red [______] (Robert Burns) to name two of the easy ones, but a couple of Biblical quotations around the theme of God’s love were slipped in too. Even the British hosts found some of the questions challenging – did you know that a love apple is actually an alternative name for a tomato? No I didn’t either. The quiz was just the warm up act, however. Interviews with a newly married couple and an ‘experienced’ married couple (me and him in other words) were to follow. We asked them four questions: How did you meet? What attracted you to each other? How did you decide you were right for each other? Why marriage, when so many don’t bother? They asked us just two: You’ve been married 30 years, what were the early challenges? What has kept you going? Our audience was about 20 international students from almost as many nations. They were mostly in their early 20s and single. You could have heard a pin drop as the four of us were able to talk matter-of-factly about the effect living for Jesus makes on the most intimate of relationships. It’s not that we talked directly about Him very much, but some of the differences were noticeable. In the open question time a French girl asked the newlyweds ‘Did you live together before you were married?’ The bride explained that, unlike her housemates, who all slept with their boyfriends, she had waited until the wedding. In a very natural way she explained how she noticed that, judging by all girly talk in her household, she was the one who was most emotionally secure about her relationship with her fiancé. Being a Christian is good news for relationships. 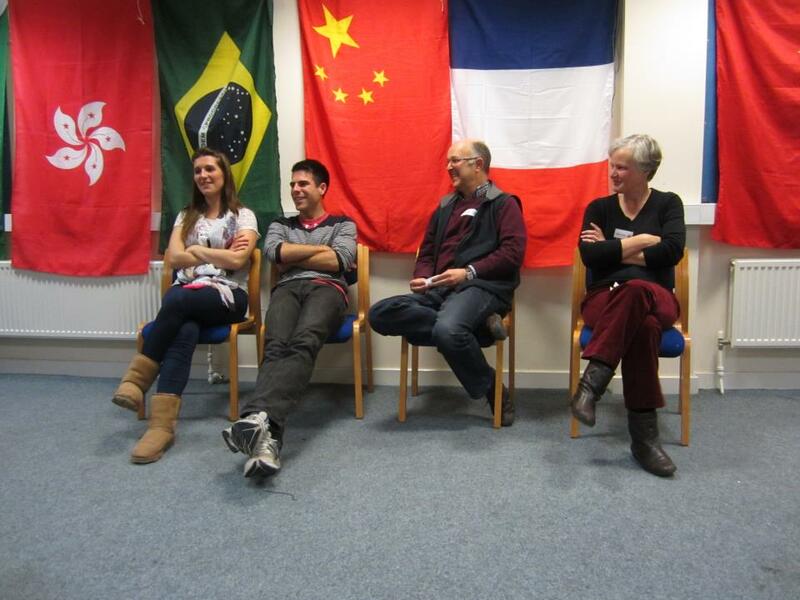 If you work with international students, have you thought of doing something similar for Valentine’s Day? Leaking roofs or good foundations? We live in a typical British town house, built just over 100 years ago. Like many similar houses it has a basement room, originally used to store coal. It has probably never been particularly dry, although some attempts have been made to proof it from damp. When we bought the house from the builder/renovator almost 4 years ago it looked pristine and we have appreciated the storage space. It’s proved handy when international students have needed somewhere to leave a large bag or two over the summer vacation while they go off travelling. All kinds of things of ours have been stored down there too – anything from old paint and bottles of wine to home made marmalade and toilet rolls, including a great many things that we really should have given away or thrown out long ago but hadn’t quite got round to it. After a while we noticed that, in spite of an external pump and a dehumidifier, things left too long down there began to show signs that all was not well. For a start my old leather walking boots attracted a powdery white sheen and the salt dough Christmas tree decorations went soggy. 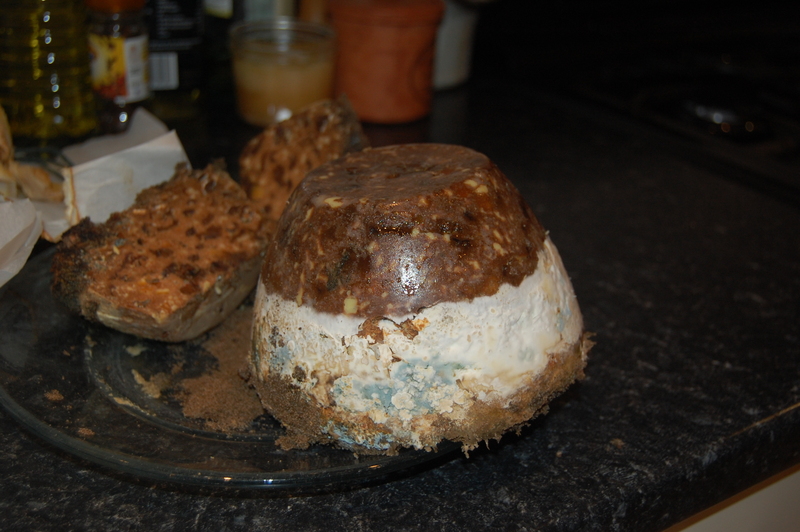 Jams and jellies attracted mould on the upper surface, though the most spectacular outbreaks of mould were on the homemade Christmas puddings carefully stored for 2012. Mineral salts erupted from the walls and the paint and plaster buckled and flaked. So finally, after carefully counting our savings, we called our builder friend Stuart to take a look. And that’s a good reminder as we carry on into 2013 to get our foundations right in other parts of our lives. Every day over the last couple of weeks, as the builders removed plaster and dug out concrete to get back to the original brick, we’ve been reminded that Jesus is the rock on which we build our lives and ministry. He is proof against all the storms of life. We’re also hoping we eventually get a dry basement without breaking the bank. Last year I resolved to read a new novel by Charles Dickens. That is to say I resolved to read a novel that I had not yet read in the year of the bicentenary of the great man’s birth. It wasn’t too difficult to choose one I hadn’t read before, seeing that much of my knowledge of his work is based on film and TV adaptations. However there’s nothing like losing oneself in the rich descriptions of the printed page. Reading Our Mutual Friend proved to be a treat and I finished it well within my time frame. My achievement, however, is paltry compared with that of journalist Matthew Davis who read all fifteen novels in 2012. Probably I should attempt another Dickens every year until I have read them all. What else did I profitably read in 2012? Paul David Tripp’s book Instruments in the Redeemer’s Hands (Phillipsburg, 2002) was just as challenging and helpful the second time round as the first. For any growing Christian hoping to be able to speak into others’ lives Paul Tripp is a wise and realistic guide. Put blatantly like that, most of my readers I hope would recoil with amused horror that our forebears felt quite so assuredly superior (the OUP volume was published in 1927). But how much of our attitudes have really changed? Something to think about for 2013. What books do you plan to read in the New Year? Another Christmas themed catalogue plopped through the letterbox this morning. A reminder, if I needed it, that the most important British festival of the year is fast approaching. Years ago a Syrian student plied me with questions about Christmas. Not the birth of Jesus you understand, but all the other things that happen in Britain during this season of good cheer. Until I started meeting international students and saw my own culture through their eyes, I had never really thought about a lot of things I took for granted. So when Hakan asked his questions – “Why do you decorate your home like this? Why do you eat this kind of food? Why do you give presents?” – I was forced to reply, rather lamely, “It’s traditional”. Why is Christmas known as the season of good cheer anyway? Is that from the Bible, or is there something else at work here? 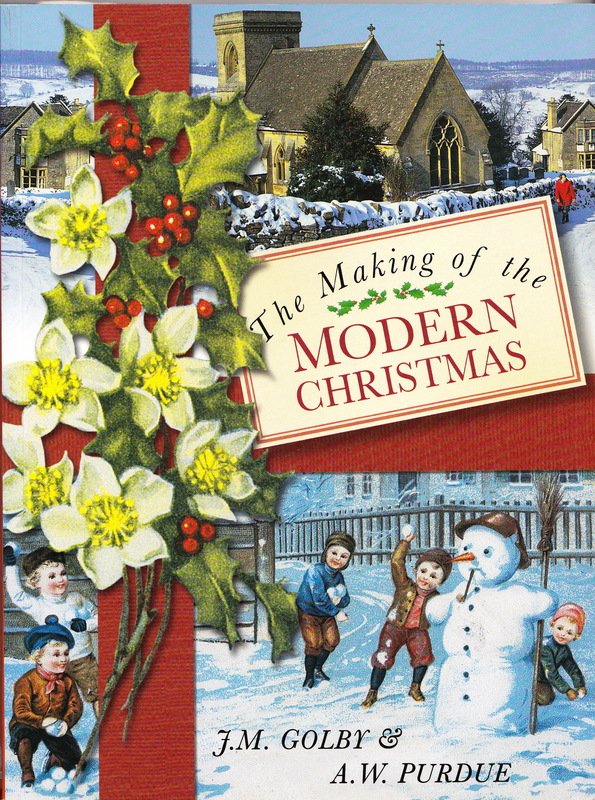 So, prompted by Hakan’s questions, I began a personal journey exploring the origins of our Christmas customs in Britain. I discovered along the way that Charles Dickens has a lot to answer for. When you’ve finished your list (and mine would be a lot longer than that) then you have to cross off all the things that are not directly associated with the biblical accounts of the birth of Jesus and see what’s left. My list would reduce dramatically from around 100 items to about 6. This exercise has freed me from feeling I have to do something just because it is expected. I choose to decorate a tree, wrap presents artistically and spend time cooking or sending cards to my friends because it’s a time of celebration. The way I celebrate has its roots in British geography, climate and history – and that’s ok, because that’s where I’m from. But the most important thing is that I have a reason to celebrate. His name is Emmanuel. Our local squirrel has been up to his tricks again. He nips off short twigs of holly, with their ripening berries, and scatters them over the garden. Initially I was baffled as to how these branch tips – of uniform size and all containing berries – came to be lying on the grass. But last autumn I finally observed the culprit as he sat on the tree stump with one of the twigs, nibbling off the berries one by one. However it has been recent activity in our neighbouring garden to which I want to draw your attention. About a month ago we heard the sounds of hammering and sawing going on next door. The new tenants had just moved in and we curiously peeped from an upstairs window to see what they were up to. There a young man was constructing what looked, initially at any rate, to be a large rabbit hutch. Eventually our curiosity got the better of us and, introducing ourselves over the garden fence, we asked what they were making. 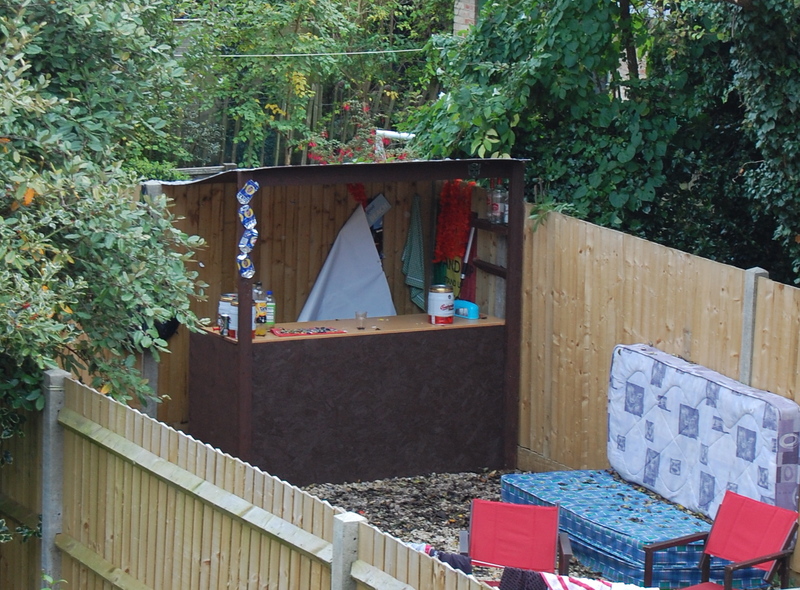 A polite young man with a shock of blond hair explained that he and his housemates (seven guys) were all second year students at our local university and they were building a bar to fit against the fence at the bottom of their garden. They did a good job of it, paint and all. They ran a long cable from the house to the bar so they could install a small fridge and a light. Some informal seating appeared (mattresses) and the bar proved a popular attraction with their friends during fresher’s week. Clearly some cake diplomacy was in order. I took round a home baked cake to their front door to welcome them to the street and asked if we could enter friendly negotiations over the bar closing time. The same young man listened politely to my explanation that many bedroom windows from many homes (including those with young families and working people) overlooked their garden and that even the sound of normal conversation carries. Since that encounter we haven’t had any late night noise. Was it the cake? Sadly, probably not. Other neighbours reckon there was a visit from the police and in any case the weather has since turned much colder and wetter. At least everyone in our house is now able to get a good night’s sleep.